Is Shopify Inc (NYSE:SHOP) a safe investment right now? Prominent investors are taking a bullish view. The number of bullish hedge fund positions increased by 1 lately. Our calculations also showed that SHOP isn’t among the 30 most popular stocks among hedge funds. SHOP was in 29 hedge funds’ portfolios at the end of December. 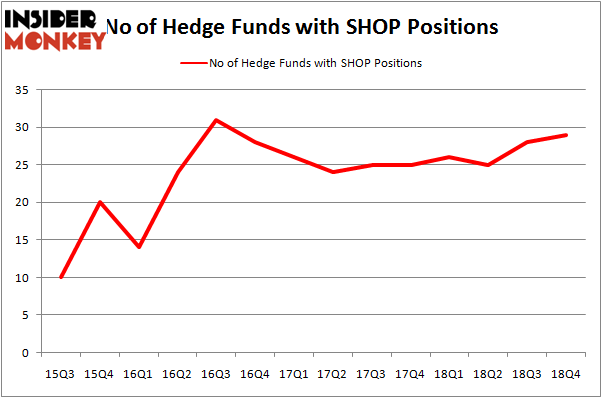 There were 28 hedge funds in our database with SHOP holdings at the end of the previous quarter. Let’s review the fresh hedge fund action surrounding Shopify Inc (NYSE:SHOP). How are hedge funds trading Shopify Inc (NYSE:SHOP)? At Q4’s end, a total of 29 of the hedge funds tracked by Insider Monkey were bullish on this stock, a change of 4% from the previous quarter. The graph below displays the number of hedge funds with bullish position in SHOP over the last 14 quarters. So, let’s examine which hedge funds were among the top holders of the stock and which hedge funds were making big moves. The largest stake in Shopify Inc (NYSE:SHOP) was held by Coatue Management, which reported holding $341 million worth of stock at the end of September. It was followed by Abdiel Capital Advisors with a $256.4 million position. Other investors bullish on the company included Whale Rock Capital Management, SCGE Management, and Citadel Investment Group. Now, key hedge funds have been driving this bullishness. Balyasny Asset Management, managed by Dmitry Balyasny, assembled the most valuable position in Shopify Inc (NYSE:SHOP). Balyasny Asset Management had $11.8 million invested in the company at the end of the quarter. Israel Englander’s Millennium Management also made a $7.2 million investment in the stock during the quarter. 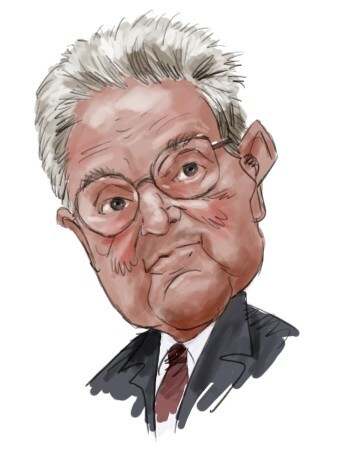 The following funds were also among the new SHOP investors: Benjamin A. Smith’s Laurion Capital Management, David Costen Haley’s HBK Investments, and George Soros’s Soros Fund Management. Let’s now take a look at hedge fund activity in other stocks – not necessarily in the same industry as Shopify Inc (NYSE:SHOP) but similarly valued. These stocks are Arthur J. Gallagher & Co. (NYSE:AJG), Incyte Corporation (NASDAQ:INCY), Nasdaq, Inc. (NASDAQ:NDAQ), and HCP, Inc. (NYSE:HCP). This group of stocks’ market values are similar to SHOP’s market value. As you can see these stocks had an average of 26.25 hedge funds with bullish positions and the average amount invested in these stocks was $1076 million. That figure was $1051 million in SHOP’s case. Incyte Corporation (NASDAQ:INCY) is the most popular stock in this table. On the other hand Nasdaq, Inc. (NASDAQ:NDAQ) is the least popular one with only 21 bullish hedge fund positions. Shopify Inc (NYSE:SHOP) is not the most popular stock in this group but hedge fund interest is still above average. This is a slightly positive signal but we’d rather spend our time researching stocks that hedge funds are piling on. Our calculations showed that top 15 most popular stocks among hedge funds returned 19.7% through March 15th and outperformed the S&P 500 ETF (SPY) by 6.6 percentage points. Hedge funds were also right about betting on SHOP as the stock returned 48.8% and outperformed the market as well. Here’s What Hedge Funds Think About ABIOMED, Inc. (ABMD) Did Hedge Funds Drop The Ball On Markel Corporation (MKL) ? Here’s What Hedge Funds Think About Total System Services, Inc. (TSS) Here’s What Hedge Funds Think About Cheniere Energy, Inc. (LNG) Here is What Hedge Funds Think About American Airlines Group Inc (AAL) Did Hedge Funds Drop The Ball On Plains All American Pipeline, L.P. (PAA) ?